It’s amazing how much ‘stuff’ we can accumulate during a lifetime. Sometimes you have no idea how much you actually have until you have to move it. But moving house does give you the opportunity to take stock of everything you own and work out what you do and don’t need. But what for the items that fall between these two categories? The possessions you don’t want to get rid of, but don’t have an immediate use for? The storage units we provide in South Kensington, SW7 could be the solution to this problem. Call us today on 020 8746 9652 to find out more about if taking advantage of a South Kensington Removals storage facility could help you with your storage needs. Moving house is an expensive practice, and it can sometimes result in you feeling unable to store your stuff away in a storage unit that might be costly and complicated. With us, this never has to be a problem. We provide great value for money in SW7 when it comes to storage solutions, you will not find the services we provide cheaper elsewhere in the area. We provide a top quality service for a bargain price and that is why we are so popular in the region. We believe our reputation speaks for itself, but feel more than free to call us on 020 8746 9652 of you feel that more information is required before you make a decision. Our workers care about your possessions as if they were their own. They understand how important the safety of your possessions is and they will do everything possible to ensure that you are reassured and comfortable with the service being provided. By staffing our units with the very best storage professionals, you can always know that your belongings are being looked after by the best in the business, who are always striving to provide the very best service to the people of SW7. With us, there is no need for those spare possessions to clutter up your living room for another second! 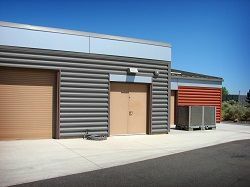 Call us today to ask what our famous and well reputed storage services can do for you. We know how important your possessions are to you. Just because you don’t currently have space for all of your items, doesn’t mean they are not close to your heart. It is understandable that you have worries about possible risks such as theft, damage and damp when you are using a storage facility. But if you come to us, this doesn’t have to play on your mind for a second. We guarantee the safety of everything that we look after because we know that our facilities are the safest in town. We know how unreliable some storage companies in the area can be, but we promise that you will find exactly the opposite to be true of our services! 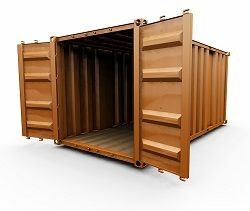 When you are in need of a storage space and you want to know that you are dealing with the very best in the business who will treat your possessions with the care and respect that you are entitled to expect, you need us. South Kensington Removals have been the premier name in South Kensington, SW7 for storage solutions for many years and this is because we offer a combination of value for money and excellence of service that you will simply not find anywhere else. So if you are bored of extra items clogging up your home, or if you’re downsizing, or any other reason you may need storage, calling 020 8746 9652 will be the best thing you do all week!